The union Minister for Civil Aviation and Commerce Shri Suresh Prabhu announced the results of UdeDeshKaAamNaagrik (UDAN) Scheme here today. Addressing the media,ShriPrabhualso handed over the letters of award to successful Airlines. AAI invited interested bidders/airline operators to submit their Initial Proposals under the provisions of UDAN 3 on 2ndNovember 2018 followed by a meeting with various potential bidders on 6th November 2018. The deadline for submitting the Initial Proposals was 18thDecember 2018. AAI subsequently invited interested bidders to submit counter proposals against various Initial Proposals from 19thDecember 2018 onwards. The last date for submission of Counter Proposals was 28th December 2018. This was followed by the opening and scrutiny of technical bids, and financial bids, for Initial Proposals as well as Counter Proposals. Shri R. N. Choubet, Secretary, Ministry of Civil Aviation (MoCA) told the gathering that the response received from the operators is very encouraging. Airports Authority of India (AAI), the implementing agency of UDAN, received 111 Initial Proposals and 17 Counter Proposals from 15 bidders covering more than 350 UDAN Routes. “Proposals connecting 13 Water Aerodromes and more than 40 tourism routes were also received as part of the bidding process”, he said. Airports to be connected: Currently 16 unserved airports, 17 underserved airports, 6 water aerodromes and 50 served airports (for a total of 89 airports) would be connected based on the proposals identified for award. Geographical spread: There is a good geographical spread in the proposals: 235 routes comprising 189 RCS Routes and 46 Tourism Routes would be connected across 29 states in the country. Enhanced Connectivity: The proposals identified to be awarded would add another 69.30 lakh seats annually across the RCS Routes with more than 1 lakh annual seats through seaplanes and more than 15 lakh annual seats on tourism routes. This is in addition to the number of seats created under UDAN 1 (13 lakh) and UDAN 2 (29 lakh). To ensure effective implementation of the Scheme and quick commencement of operations once the bidding process is over, MoCAand AAI, in parallel, are also coordinating with the Ministry of Tourism, Ministry of Defenceand the State Governments for various facilitating actions. The success of UDAN 3 has come on the back of strong performance of UDAN 1 and UDAN 2. Theconnectivity proposed under UDAN 1 has commenced and is stable. 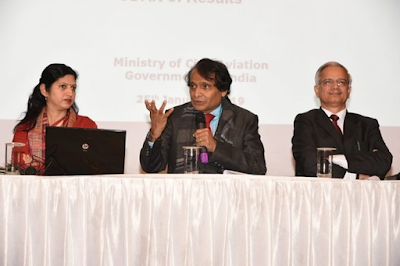 Currently, the focus on Ministry of Civil Aviation and Airports Authority of India is on expediting connectivity under UDAN 2.Out of 21 proposalsremaining valid under UDAN 1, operations have commenced on 20 proposals. Airlines are currently in the process of commencing operations on proposals awarded in UDAN 2 and a number of airport development and licensing activities have been completed. Similarly, out of 46 Unserved Airports and 16 Underserved Airports awarded in UDAN 1 and UDAN 2, operations have commenced on 23 Unserved Airports and 15 Underserved Airports respectively. Also, a number of destinations (such as Hubli, Gwalior, Allahabad etc.) which were only connected to one city through air connectivity earlier, are now connected to multiple destinations. Requests from few state governments, including north-eastern region,would be considered to cover specific pre-determined routes under the special round of the UDAN Scheme. This is expected to help in connecting remote areas which have not been connected yet. Unserved routes connecting served airports would be considered for bidding with the support from the concerned State Governments / Ministry of Tourism / DoNER etc.